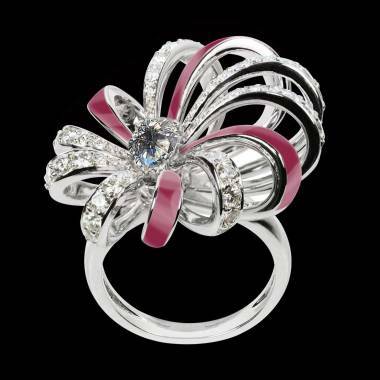 Jaubalet specialises in creating custom-designed jewellery of your dreams. Based in Mayfair, London, our highly skilled craftsmen will work closely with you to create a piece of hand-made jewellery that is completely unique to you. Whether you want a bespoke solitaire diamond engagement ring, ruby engagement ring, blue sapphire engagement ring or emerald engagement ring, our renowned Bench Jewellers combine traditional jewellery making techniques with modern innovation, creating truly bespoke and unique jewellery pieces. You’ll find The House of Jaubalet in the fashion and luxury capital of London - Mayfair. Situated at 1 Berkeley Street, our jewellery shop in Mayfair combines the modern cosmopolitan life of London, with the traditional jewellery making methods that have been used for the last decade at our flagship jewellery shop in Place Vendôme. 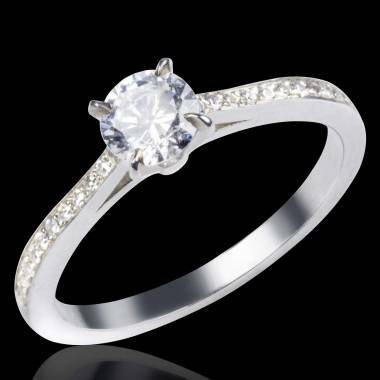 Our experienced craftsmen have the expertise and skill to create personalised, high quality jewellery especially for you. Designing custom made jewellery and commissioning it to be made is a huge process, and we want you to be confident that the end-result will exceed your expectations, which is why we offer a prototype of your jewellery before you make your final decision. Using revolutionary technology, we will send you a 3D wax prototype of your bespoke piece of jewellery - you can then modify it to ensure it matches your vision, before our experts craft it. At Jaubalet, we believe that every piece of jewellery you wear should be as unique as you, and mirror your personality. Whether you’re after an understated 9 ct white gold diamond pendant, or a bold diamond ring our cutting-edge digital experience lets you visualise your dream jewellery, and our skilled jewellers will hand-craft your jewellery, turning your dreams into a reality. 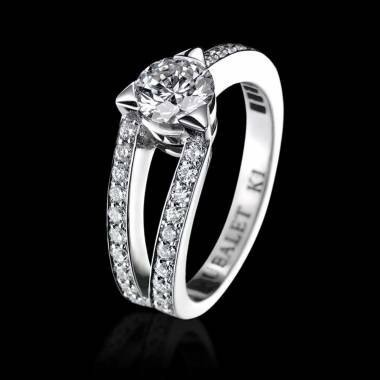 18K Elodie Diamond Engagement Ring, The King of Precious Gems for the Queen of your Heart. London is the capital of fashion and luxury. All the greatest jewellers of London and of the world have established their boutiques here. Expertise and excellence in the use of traditional, modern, and futuristic cutting-edge jewellery techniques is a token of entry into this highly prestigious industry. So it’s no surprise that Jaubalet chose 1 Berkeley St, Mayfair, London as their home. When you choose Jaubalet to create your personalised jewellery, our skilled jewellers will bring your ideas to life. We chose Mayfair as the home for our London jewellery store, as this area echoes the creativity, excellence, and opulence that’s lamented within the highly prestigious jewellery industry. Our cutting-edge technology combined with the traditional skill and craftsmanship that’s been passed down to all of our jewellers is what distinguishes Jaubalet as an industry leader when it comes to designing your own jewellery. London is synonymous with luxury, and the place to go if you want to buy sparkling jewellery. From a Designer Sapphire Necklace to a single row diamond tennis bracelet, Hatton Garden, Mayfair and Oxford Street is renowned for its glitz and glamour. But what happens when you can’t get to London to have your dream piece of custom made jewellery? You can simply order via Jaubalet online store, and we will bring Paris to you. The Jaubalet London website takes you on a digital journey where you can experience the creation and production processes firsthand. This is jewellery and high-end jewellery like you have never seen them before. You will find information on our website regarding gold and precious stones such as diamonds, rubies, sapphires, and emeralds. 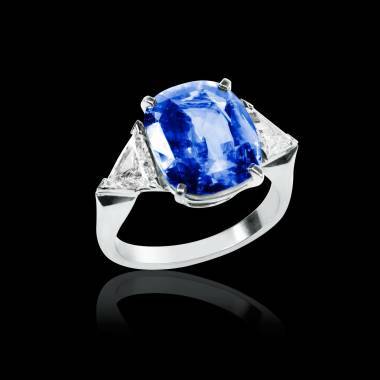 You will also find news from the jewellery and high-end jewellery world. Communicate directly with our expert jewellers via online chat, design and customise your unique jewellery, and place your order, which will then be securely delivered to you anywhere in the world. You’ll feel like you are actually in London at 1 Berkeley St, Mayfair, London- this is jewellery like you’ve never experienced it before. Perhaps, at present you are satisfied with you choice, but would love to be completely satisfied with your online purchase. In addition to our close collaboration during the design and production phases, Parisian jeweller Jaubalet gives you a preview of your final piece of jewellery. We send you a 3D wax model with a fake stone. This allows you to see the piece firsthand and to modify or confirm your order. In other words, you can “try before you buy.” There is only one thing left to do: order from your London jeweller for your custom-designed or personalized jewellery.